Delhi is not just the power seat and the capital of India, but an important historic place. Besides, the city has been the home to a large number of celebrities from politics, literature, art or films. Listed below are personalities associated with Delhi, people who were either born here or made Delhi their home. 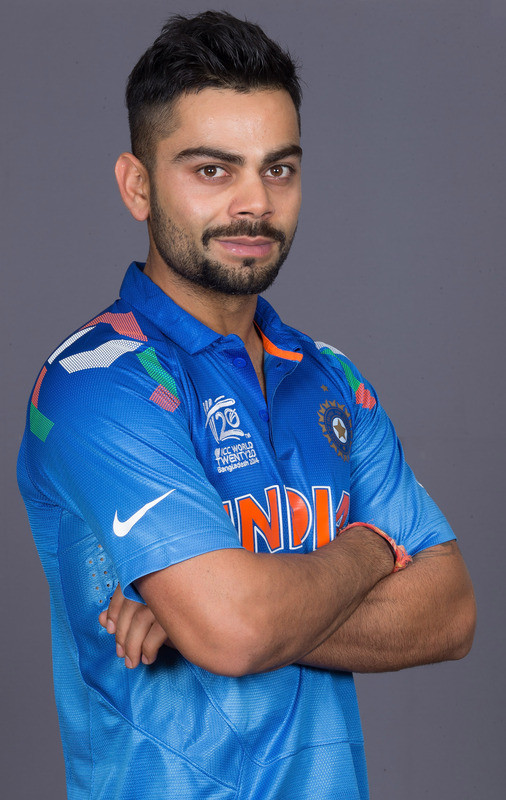 The Indian cricket team captain was born in Delhi and attended school at Vishal Bharti and Savier Convent. Kohli was the captain of the victorious Indian team at the 2008 U/19 Cricket World Cup held in Malaysia. He represents Delhi in first-class cricket and is the captain of the Royal Challengers Bangalore franchise in the Indian Premier League. He also played for the West Delhi Cricket Academy. Kohli made his One Day International (ODI) debut in 2008 and was part of the Indian team which won the 2011 World Cup. Despite being a regular in the ODI side, Kohli only played his first Test in 2011 against West Indies in Kingston. But on the disastrous 2011/12 India tour of Australia, in which India's senior batsmen struggled throughout, Kohli stood out, scoring his first Test hundred in Adelaide. Kohli was the recipient of the ICC ODI Player of the Year award in 2012. Sports Pro has rated him the 13th most marketable athlete in the world. Chetan Bhagat is an author, columnist, and speaker. He was born in New Delhi to a middle-class family. His father was officer in the army (Lt Col) and his mother was a government employee in the agricultural department. Bhagat's education was mostly in Delhi. He attended Army Public School, Dhaula kuan, New Delhi (1978-1991). He studied Mechanical Engineering at the Indian Institute of Technology Delhi 1991-1995). He graduated from the Indian Institute of Management Ahmedabad (1995-1997). He quit his investment banking career in 2009, to devote his entire time to writing. Bhagat is the author of bestselling novels, Five Point Someone (2004), One Night @ the Call Center (2005), The 3 Mistakes of My Life (2008), 2 States (2009), Revolution 2020 (2011), and What Young India Wants (2012). All the books have remained bestsellers since their release and three have inspired Bollywood films (including the hit films 3 Idiots and Kai Po Che!. Bhagat writes op-ed columns for popular English and Hindi newspapers, focusing on youth, career and issues based on national development. Nandita Das is an award-winning film actress and director. She was born in New Delhi to noted Indian painter, Jatin Das and a Gujarati Jain mother named Varsha who is a writer. She went to Sardar Patel Vidyalaya, Lodhi Estate in New Delhi. She received her bachelor's degree in Geography from Miranda House (University of Delhi) and Master of Social Work from the Delhi School of Social Work. As an actress, she is known for her performances in Fire (1996), Earth (1998), Bawandar (2000), Kannathil Muthamittal (2002), Amaar Bhuvan, Azhagi and Before The Rains (2007). Das has acted in films in ten different languages. As a director, she is known for her directorial debut Firaaq (2008), which has won a number of national and international awards. She has been awarded the Chevalier of the Ordre des Arts et des Lettres by the Government of France for her work. Nandita Das was the first Indian to be inducted into their International Women's Forum's hall of fame. Virender Sehwag is one of the leading batsmen in the Indian cricket team. His family hails from Haryana; he is settled in New Delhi. He attended Arora Vidya School in Delhi, later he attended Jamia Milia Islamia for graduation. Sehwag is an aggressive right-handed opening batsman and a part-time right-arm off-spin bowler. Sehwag became the only Indian to be honoured as the Wisden Leading Cricketer in the World for his performance in 2008, subsequently becoming the first player of any nationality to retain the award for 2009. Sehwag holds multiple records including the highest score made by an Indian in Test cricket (319), which was also the fastest triple century in the history of international cricket (reached 300 off only 278 balls) as well as the fastest 250 by any batsman (in 207 balls against Sri Lanka on 3 December 2009 at the Brabourne Stadium in Mumbai). His other innings of 309 and 293 are also the second and third best by any Indian player. Sehwag also holds the distinction of being one of four batsmen in the world to have ever surpassed 300 twice in Test cricket, and the only one to score two triple centuries and take a five-wicket innings haul. He is the only player in world to score a double hundred in ODI and a triple hundred in Test Cricket. 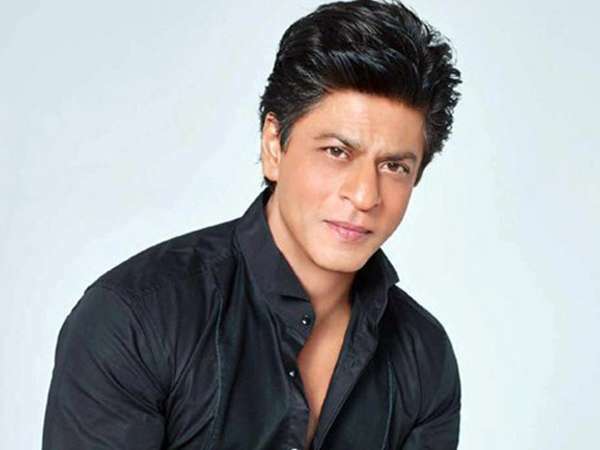 Shahrukh Khan the leading actor of bollywood was born and brought up in Delhi. Shah Rukh Khan is claimed as the king of the Bollywood. Fans are also call him as The Badshah of Bollywood. He was born on 2nd November 1965 in Delhi. Mother's Name is Lateef Fatima Khan and father's Name is Meer Mohammed Taj Khan Shah Rukh Khan is the owner of "Dreamz Unlimited". His wife Gauri Khan owns a production company named as "Red Chilies Entertainments". He is also the owner of IPL team named as Kolkata Knight Riders. Shahrukh Khan is estimated to be worth $ 780 million USD dollars as per Forbes report. 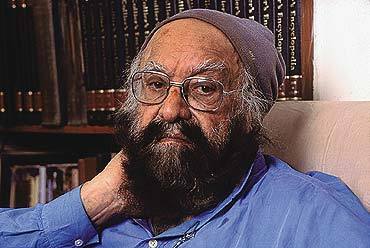 Khushwant Singh was a novelist and journalist. He was educated at Modern School, New Delhi, Government College, Lahore, St. Stephen's College in Delhi and King's College, London, before reading for the Bar at the Inner Temple. Singh's weekly column, "With Malice towards One and All", carried by several Indian newspapers, is among the most widely-read columns in the country. He served as editor of several literary and news magazines, as well as two broadsheet newspapers, through the 1970s and 1980s. He is a recipient of the Padma Vibhushan the second highest civilian award in India. He has written several books prominent among them are A Train to Pakistan and History of Sikhs. He stayed in "Sujan Singh Park", near Khan Market New Delhi, Delhi's first apartment complex, built by his father in 1945, and named after his grandfather. Sudhir Tailang was a cartoonist who lived in Delhi. He was born in Bikaner, Rajasthan, started his career with the Illustrated Weekly of India, Mumbai, in 1982. He moved to Delhi in 1983 and joined the Navbharat Times there. For several years he was with the Hindustan Times, while also doing short stints with the Indian Express and The Times of India. His present assignment is with the Asian Age, New Delhi. He was awarded Padma Shri in 2004 for his contribution to the art of cartooning. He recently launched a book of cartoons titled "No, Prime Minister", a set of cartoons on the current Prime Minister of India Manmohan Singh. Yaseen Anwer is poet who attended Dr. Radhakrishnan International School in New Delhi followed by Jamia Senior Secondary School. Yaseen Anwer is poet who attended Dr. Radhakrishnan International School in New Delhi followed by Jamia Senior Secondary School. Anwer helped to launch the Delhi Poetry Festival. He is also founder and managing editor of Poets Corner Group. The group was established in June 2011 and now has many members from across the world, plus printed anthologies wherein hundreds of poets have been published. Anwar has been published in anthologies alongside A. P. J. Abdul Kalam, Gulzar, Ruskin Bond, Nida Fazli, Mohammed Fakhruddin, Deepti Naval, Shashi Tharoor, Irshad Kamil, and Kapil Sibal. His work has appeared in more than 70 national and international magazines and journals.He is the winner of the "Young Poet Award 2012" by the Indian Poetry Society. 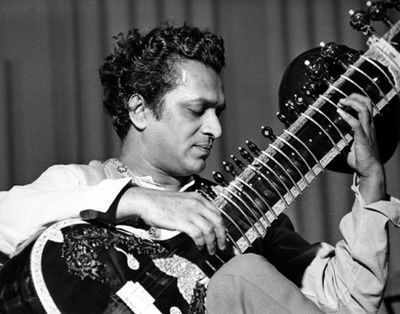 Pandit Ravi Shankar, the legendary sitarist and composer is India's most esteemed musical Ambassador and a singular phenomenon in the classical music worlds of East and West. As a performer, composer, teacher and writer, he has done more for Indian music than any other musician. He is well known for his pioneering work in bringing Indian music to the West. The Pakistani president was born in Delhi. Relations between the countries did not allow him to visit his home for decades but he finally did sometime back. Maqbool Fida Husain (B. 1915) is India's most famous Painter and Film maker who enjoys multifarious range of occupations interests and passions. In 1967 he made his first film, Through the Eyes of a Painter. It was shown at the Berlin Festival and won a Golden Bear. Amir Khusrau Dehlavi (1253-1325 AD) was a prolific Persian poet associated with royal courts of more than seven rulers of Delhi Sultanate. 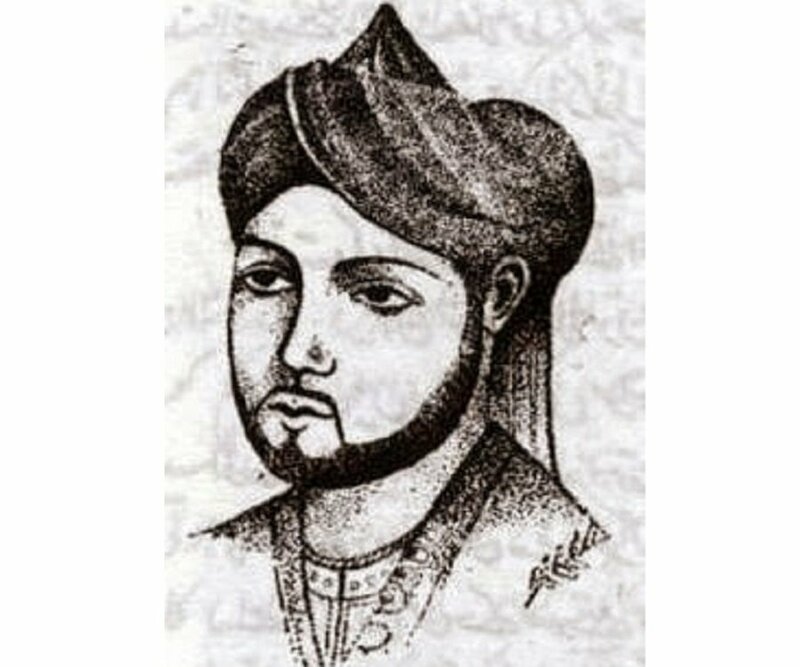 Amir Khusro is popular for playful riddles, songs and legends attributed to him. He is associated to Sufism and the qawwali form of song rendition is said to be his gift to the world. Mirza Asadullah Khan "Ghalib" (1796-1869) is one of the best of Urdu poets. He led a revolution in Urdu poetry with his words. Mukesh Chand Mathur (1923 - 1976) is popularly known as the voice of Raj Kapoor. Mukesh became the first male winner of the Filmfare Award for Best Playback Singer in 1959. Mukesh's vocals became identified with other heroes in the 1960s and 70s, most notably, Manoj Kumar. Hazrat Nizamuddin Awlia (d. 1325 A.D.) represents the pinnacle of the Chishti Order of the Sufis. Hazrat Nizamuddin Awlia sent able disciples well versed in the Chishti practices to places across India. Hazrat Nizamuddin Awlia taught the following for the sufi path: "For a dervish, three things are necessary. They all begin with an 'ain' (an Arabic letter), i.e., Ishq (love), Aql (intelligence) and Ilm (knowledge). Qurratulain Hyder (B. 1927) is one of the most celebrated of Urdu fiction writers. A trendsetter in Urdu fiction, she is a prolific writer. She has so far written some 12 novels and novellas, four collections of short stories and has done a significant amount of translation of classics. Aag Ka Darya (River of Fire), her magnum opus, is a landmark novel that explores the vast sweep of time and history.